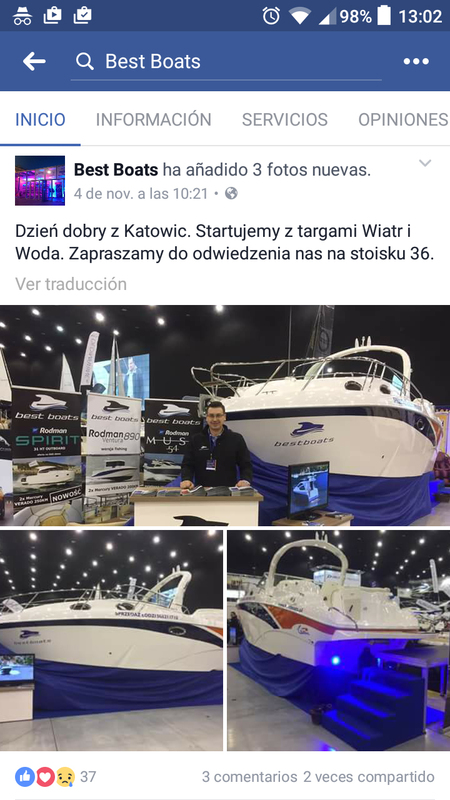 The Lema’s dealer Best Boats is promoting a Gold S around Poland, showed in differents Boatshows in the Country. This Gold S las units “full equipe” with bow propeller included has a fantastic Mercruiser 6.2L – 300 HP Bravo 3 DTS. Barcos / Boats, Distribuidores / Dealers, Eventos / Events. Marcar.